Our Nuptial Suite is perfect for our honeymoon. If we aren’t marveling at the beautiful blue waters of the Pacific Ocean, we will be lounging around our spacious private area after a long day in the sun. The bedroom features the Sweet Dreams by Doubletree king bed with jumbo hypo-allergenic down pillows. With a big whirlpool inside the bedroom, our room is equipped with all of the classic amenities the hotel has to offer. Our honeymoon at DoubleTree Resort by Hilton Hotel Central Pacific – Costa Rica will be enhanced with a romantic dinner for two on the beach. In a secluded setting on a private beach, we will indulge in a tantalizing 3-course dinner with a glass of wine. As the waves gently crash onto shore, we will admire the twinkling stars above while creating unforgettable memories drenched in intimacy and elegance. We will shop at Hotel Candy Shop to bring a piece of paradise home with us. We will browse around the on-site souvenir store and the mini-mart at the resort in search of honeymoon keepsakes. From beautiful pieces of artwork, stylish accessories, apparel and jewelry, to locally made products and souvenirs, we will find just what we wanted and cherish these treasures in the many years to come! With your generous gift, we will be overlooking blue seas and dark volcanic sands at DoubleTree Resort by Hilton Hotel Central Pacific – Costa Rica! 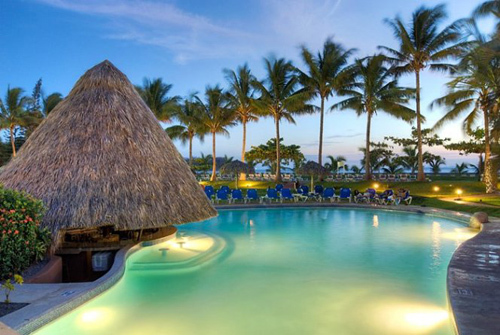 An ideal choice for a relaxed vacation and set at the foot of a lush green hillside, the all-inclusive resort is only 50 minutes from the capital of San Jose. We will unwind and enjoy an exclusive amenity in the comfort of our deluxe room or suite, indulge in a relaxing and healing treatment at Heliconia Spa or embark on an exotic Romantic Dinner. Our honeymoon at this resort will be everything we have wanted and more. 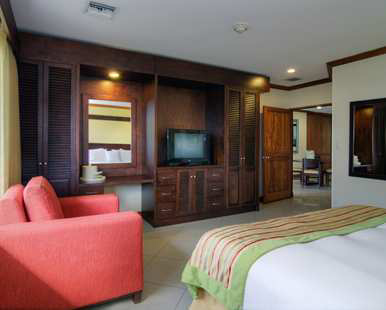 We will experience a vacation to remember at DoubleTree Resort by Hilton Hotel Central Pacific – Costa Rica. This all-inclusive beachfront resort has all the facilities and activities to keep us happy. Only 50 minutes from San Jose, it is a great base for exploring Costa Rica. We will escape the hassles of everyday life as we bask in the sun surrounded by lush gardens, cool off in one of the swimming pools or luxuriate spectacular rooms. We will head to the beach and try our hands at surfing or kayaking. In the evening, we will stroll along the black volcanic sands and watch the sun set over the Pacific Ocean from the resort's private pier. Your thoughtful contribution ensures us a honeymoon we will never forget. A chilled bottle of champagne will be delivered to our room or suite. We will make a toast to our romantic honeymoon in paradise while taking in the sweeping views of the sparkling Pacific Ocean from our balcony or terrace. How romantic! A bottle of our favorite wine will be delivered to our room or suite. We will make a toast to our honeymoon in Costa Rica while taking in the enchanted views of the surrounding tropical paradise. We will discover romance at its best! On my honeymoon, I will enjoy the Heliconia Massage in the serenity of the spa. My therapist will work evenly on all of my muscles with this extraordinary massage using moderate pressure. This is the perfect option if I want to achieve relaxation and wellness on my honeymoon! With your lovely wedding gift, I will indulge in the Calatheas Deep Massage at Doubletree Resort by Hilton Hotel Central Pacific – Costa Rica. 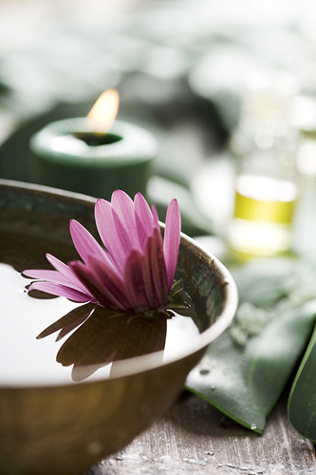 This massage will ease tension in the deep tissues using vigorous massages strokes. I will be left feeling captivated, energized and luxurious! Professional therapists will relieve my muscles using soothing movements and the pleasant temperature of the bijagua stones. These special techniques will help balance my energy, resulting in a truly unique and healing experience. I will immerse myself into delicious scents that will suit my every need (relaxing, sedative or healing) with this treatment. This therapeutic technique is specially designed for those looking for a comforting massage on their backs and bodies. I will be left in a pure state of bliss! With this exfoliation, I will enjoy the benefits of Costa Rican tropical products. Grains, fruits and organic oils will be blended to purify my skin, giving it back its smoothness and natural glow. The Natural Body Wrap is deeply moisturizing with visible benefits that will decongest my body with the spa’s natural and fresh body wraps. I will choose from an Aloe Vera or Organic wrap and embark on a journey that will leave my mind, body and spirit rejuvenated and nourished. In the serenity of the spa at DoubleTree Resort by Hilton Hotel Central Pacific – Costa Rica, I will take delight in the Revitalizing Facial Treatment. This facial will leave my skin cleansed and rejuvenated while feeling silky soft and glowing radiantly. On my honeymoon in paradise I will be pampered while my nails are nourished with a Manicure. I will receive an exfoliation to remove dead skin cells, followed by nail and cuticle maintenance and an application of my favorite nail polish. The hotel promises me an indulgent pedicure in the serenity of the spa. I will receive a foot exfoliation to remove dead skin cells, followed by cuticle maintenance and an application of my favorite nail polish. This intense skin treatment has cleansing and moisturizing all in one! With all-natural products made from milk, wheat and medicine plant, this will be a marvelous combination that will leave my skin soft and smooth. We will discover Honeymoon Desires in the beautiful paradise of Costa Rica! With your generous wedding gift, our on-site wedding assistant will take care of every single detail. This special amenity includes special foods and drinks as well as floral decoration in our room, and delicious chocolate strawberries in our room to have extra indulgence in our room at night.